If you want the rainbow, you've got to put up with the rain. You can write me down in history with hateful, twisted lies, you can tread me in this very dirt, but still, like dust, I'll rise. where women of influence, mumfluence, & blogfluence love to blog & play! Unfortunately the internet is often like being back in highschool.. rumors start and just go crazy. However, unlike high school it's much easier to find out the truth of things! it was easy to find out that the TWO companies that other website said was the same as yours were completely different. Even the links they posted showed that.... I'm glad you did come forward to say who you really are, though I totally understand about wanting the anonymoty, especially considering your illness. I have physical and medical problems that keep me from doing as much as I'd like and totally understand where you're coming from. I think a lot of people just over-reacted, and the internet is a place that makes it very easy to make a mountain out of a freckle! LOL! WOW Paula a brave thing to do to share what you have just shared given the circumstances. I'm not sure what I would have done. I am also saddened about all that has happened but I feel that sassymama site can get beyond this situation. This is all fear based. 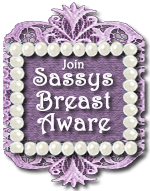 Let's hope everyone can get beyond their fear and make sassymama a site to be proud of. What doesn't kill us serves to make us stronger. How wonderful that you are creating such a wave that others can even be bothered to attempt to harm Sassymamas. The site's success and potential to erode other sites is being noticed....what the others do not yet realise is that there is an abundance of women and mothers to go round to make every social networking site interesting and relevant. When someone is firing bullets at you, you are doing something right. I will always support that which is right - attacking and sabotaging other people is not right. I'll repeat what I said on Twitter...I am SO sorry you're having to deal with this! I'm sorry you had to do that. I'm proud of you though for doing it (for what it's worth). Get some rest and peace. We'll all be here tomorrow. As a sassy mama with CFS and back problems I know exactly what you are going through. No worries here. 'I' is right you are doing something right! Your success is taking off. Congratulations and Us Sassy Mamas are going to stick together no matter what. I have been saddened & disappointed today by some really awful things that have happended, on what was to be such a joyous and celebratory day, after countless hours of hard work, but gladdened too, by the show of support by many sassy sistas. It seems, upon investigation, that the main problem has been that the mamas have been duped into believing that I want their 'contact information' for evil purposes (?) and that the awful 'website' (who does that?) that has been setup, makes it look as though my family company, K Group Holdings Pty Ltd is actually 'kholdings', which is some kind of 'money making venture'. I used K Group Holdings Pty Ltd, as is common practice to register my domain name 'sassy-mamas.com', to protect my privacy as a woman. I have reported the abusive site to wordpress under their abuse report, but the damage is done. My name is Paula Kuhnemann, or mompaulak. You can find me here at sassymamas. I am a mom with 2 children, aged, 18 and 12. We live in Australia and I originally started this social networking group to make connections with like-minded women. I feel very isolated because for the past 3 years I have been quite ill with Myalgic Encephalomyelitis/Chronic Fatigue Syndrome. This has lead to debilitating migraines and chronic lower back pain. My pain and poor quality of active lifestyle has gotten so bad that I have been bedridden for 12 months. I am this week about to have the 2nd of 3 back operations. This has been a huge burden on my beautiful family and friends. I started blogging as a way to keep my mind active and to connect with other moms from around the world. I still found it quite isolating and racked my brain for a way to form a closer community of moms, so that we could all feel closer-surely there were other moms like me out there....stay at home moms with children, or retired grandmoms, or businesswomen who work from home? I started 'sassymamas' anonymously because I didn't want to let anyone down if I became even more ill. I carry enough guilt over my illness with my family. What I didn't expect was for sassymamas to expand so quickly and I have hardly had time to catch my breath. Suddenly my back operations were upon me and I still just wanted my privacy...it's that simple. I'm a Mom, who loves her children fiercely and wakes up everyday knowing that it will be a better day because I will get to spend time with them. My husband is my soul mate and he runs his own business, in Real Estate, and has done for over seven years. We have a puppy, who has his own blog, sneakypuppy.com and he is the real star of our family and I treat him like my third child. I never thought that I would be a puppy person-I so totally am that I nearly bought another one 2 days ago! I enjoy the company and the diversity of the talented women at sassymamas. I've always been involved in 'womens business' in one way or another and I always will be. I'm looking forward to the next stage in the sassymamas journey and to learning from each and every mama and wow, haven't I learnt a lot in 24 hours. I apologise for my mistakes, we all make them. I am still the same sassy, I just don't have a cartoon head anymore. Ok, after a much needed sleep and wonderful care by son and hubby, I have logged back on and I have to say it was with much trepidation. But first to my phone phone and text mesages from my wonderful Australian friends on here, Claire & Leigh..the 2 best BFF's a woman could ever have....I love you 2! A special thanks to a truly remarkable sassy mama on here, StyleMom. wow! Now there is a strong woman. She DMed me while I answered my crtics on twitter and then helped me back here and then posted immediately after our long distance conversation (please visit her site and read, & comment a thankyou as a show of sassy support). She really gave me a lot of strength when I was emotional, tired and just plain 'done.' Thank you N. How can I ever repay you? pssssssstttt...wow! you know how much I have enjoyed being part of the sassymama network...well it seems that sassymama does not have great health (wonder if she has migraines like me & some of you??) and her site has expanded so rapidly that she needs H E L P! ok, can't give anymore away, cause it's a S E C R E T and will be announced at the SASSYMAMAS TWITTER LAUNCH PARTY tomorrow....but watch this space...all I can say is WOW! A false sense of security? Is this you? IN a survey of 305 women by Ohio State University in the US, 42% said that "if they had their mobile (or cell), they'd go places after dark that they wouldn't normally venture to." I say what?? C'mon women...get with the program here! Excuse my flippancy, but what are yo going to do, throw your Samsung at the baddies & hope for the best? You realise right, that 'talking while you're walking' lowers your awareness & slows your reaction time, hence YOU ARE MORE VULNERABLE. Add the 'after dark, lone woman' factor and you've got DANGER, ladies, D A N G E R ! ....and even nicer still, is that I get to bestow it on '7 of my fav bloggers'! WOOHOO! ....don't you think that it is amazing in this big old world that we can form these connections even tho such vast miles separate us? List 7 things that you love and then pass the award on to 7 bloggers you love! Be sure to tag them and let them know they have won! Don't forget to either e-mail your favorite bloggers or comment them to let them know they have won! In our 'Natural Beauty Kit' series we'll serve up tips on turning nature into nurturing skincare products...and you needn't look any futher than your own fridge! The cucumber & the mint cools & soothes while the milk brightens and lightly hydrates your skin. The grapefruit extract acts as a natural preservative so that you can store your cleanser for a week. FAVMOM BLOG AWARD: My blog friend Lacresha Hayes, whom I have posted about before here, bestowed this award on me ,and my Prize, get this, has been a week of Guest Posts, at her blog site, 'Pretty, Prosperous, Powerful'. Check me out over there & leave Lacresha a comment there on my behalf:-) Thanks Lacreshsa...you da best! KREATIV BLOG AWARD: Yep, my week just keeps getting better. My blog friend, Veronica, 'Of Mice and Ramen', bestowed this Kreativ Blog Award on me AND I'M VERY EXCITED! "I'd like to thank the Academy.....". I'll post more about this tomorrow, as I get to bestow this on '7' of my FAV BLOGGERS NOW TOO! YAY!! !